I adore Christmas stories. Every year I try to choose at least one new story to add to our family's collection. This year I chose two, and wanted to recommend them to you. If you are LDS, you may have heard this story that Thomas S. Monson shared about an experience he had when he was a 10 year old boy. If you are not LDS, there's nothing specifically "Mormon" about the book. 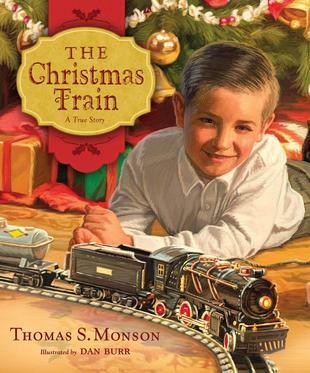 The Christmas Train is a sweet story of how a boy learns the joy of giving, even though initially he is more interested in receiving. I read it aloud to Aiden and Conor and they both enjoyed it. President Monson is a great storyteller. 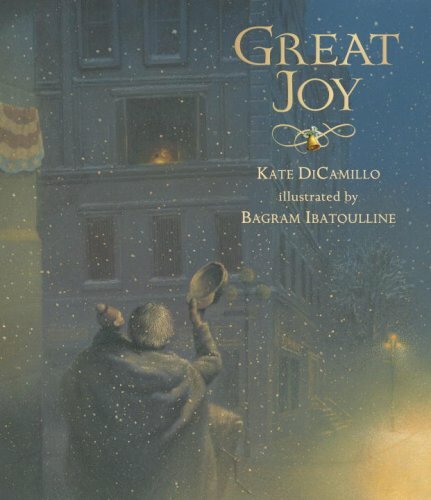 I will buy anything that Kate DiCamillo writes, and somehow I missed this book for the last few years, but I read it to Conor tonight and it's lovely. Great Joy has beautiful illustrations, simple text, and a heartwarming reminder to look after all of God's children, as a child would. I really like this story. I haven't seen either of those. I'll have to look for them. I try to buy a new Christmas music CD and a new angel ornament every year.